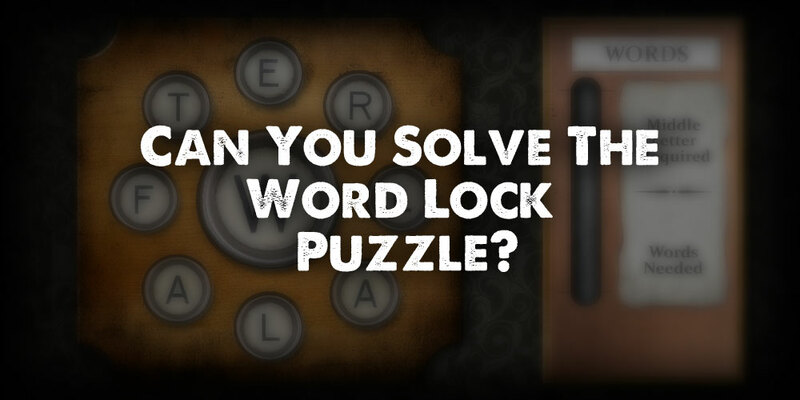 Puzzle #7: Can You Solve The Word Lock Puzzle? You find a way to ditch the poltergeist in the last room and quickly hide in a nearby closet. You think you outsmarted the ghost. Then suddenly you hear the latch on the closet door engage. You try the handle. You are trapped again! You turn on your flashlight and search the small closet and find a weird keypad with letters on it. Another puzzle lock! This one seems to reward people with a good vocabulary. This one should be easy!